The 2019 New York Baby Show, on May 18 & 19 at Pier 94 will once again be the largest show for new and expectant parents in the country. 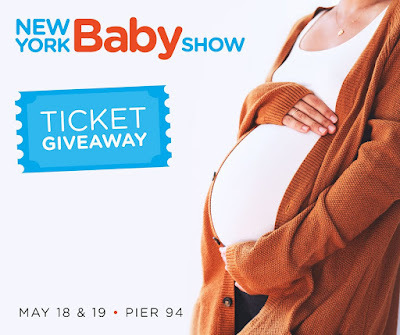 Now in its 9th year, no other event provides a better experience for thousands of expectant and new families from New York and neighboring counties, seeking a family-friendly jamboree of top brands, great speakers and seminars, big giveaways, and lots of learning, support, bonding, and fun as you make your way into parenthood. We are giving away tickets for you and your family to experience the show. See below for details… etc. Normal ticket price is $30 per family (for 2 adults and up to 4 children), and $20 per individual. Thank you to MomTrends I have 25 free tickets to give away! - This post is sponsored, but all opinions are 100% my own. If you know anything at all about me you know that my love for literature is HUGE. It always has been, so when I had my children I made sure they would understand my passion for it, and hopefully feel the same way about it as I did. I did it guys. They are SO into anything literature. They love to read, be read to, and watch movies of books they have read just to say that the book was better! So much like momma. When we got an invite for The Magic School Bus: Lost In the Solar System by TheatreWorks at BMCC I knew it would be an epic morning they would really enjoy... because who doesn't love Ms. Frizzle and all of her wildness. We actually own this book and have read it plenty of times, to the point where they know exactly what is going to happen next. So we are thrilled to watch a live musical show of it. I am sure it will leave us at the edge of our seats. It's like my childhood dreams are about to come true, and I will be flying on the magic school bus into Outer Space. 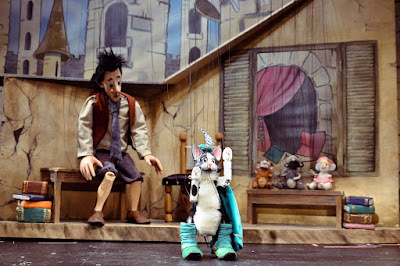 We are huge fans of the shows that go on at The Swedish Cottage Marionette Theatre in Central Park. We went to one just this past summer, and the boys still talk about it till this day. They can't wait to make it to another one of their shows soon, and I believe this one is a must see. The boys love the classic fairytale that I have read them many times before, so they are excited to see how this one will be like! 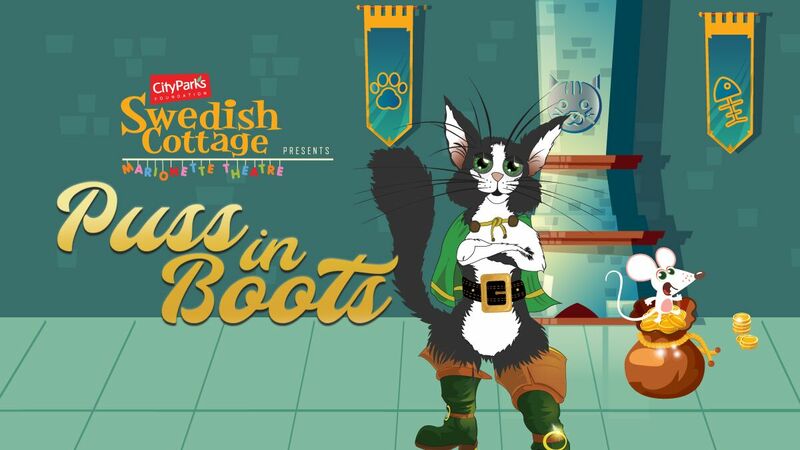 Presented by City Parks Foundation, Puss in Boots will be making it’s first appearance at the cottage and bringing a fun twist to the classic children’s fairy tale! Opening March 19th and running through September 22nd! Puss in Boots is the story of two friends - Fergus Mundingle and his sly cat Puss - who are tired of their dull and penniless lifestyle. Looking for a change, Puss dons a snazzy pair of boots and sets off on a magical journey, proving himself a caring friend willing to help at any cost. The show will captivate audience members of all ages beginning Tuesday, March 19th through September 22nd. A full list of show dates and tickets are available at CityParksFoundation.org. A Better Option For a Child's Sweet Tooth With Goetze's Candy! All my mommas must have had this sweet treat before when they were littles like their kiddos, because as soon as they reached out to me I remembered so many great memories of going to the candy store with my dad and getting so many yummy caramel creams to last more for days. I completely forgot all about them, and I am glad that I found them once again to share them with my little ones, without feeling the guilt of giving them so much sugar. They are made with wholesome ingredients.. wheat flour and real cream. Caramel Creams are a twist-wrapped, chewy caramels with a cream center. Although the original vanilla is the most well-known flavor, Caramel Creams are also available in chocolate, strawberry, apple, and licorice flavors. Cow Tales were launched in the 1980's as a stick-shaped, chewy caramel filled with cream. Cow Tales are available in four flavors: "original" caramel, chocolate, strawberry, and caramel apple. Aside from it just being a candy, they can be used as an ingredient to many yummy after dinner desserts. Here are some you can try out at home too! Experience the unique combination of caramel and cream with #GoetzesCandy! The boys loved every bite of it and of course the Cow Tails too, which I have been adding into their lunch boxes as a yummy sweet treat after lunch. Flying gives me real deal anxiety. Usually the night before a flight I get really anxious and barely get any sleep. I had some bad experiences when I was younger and I used to travel on my own, so I guess those experiences stick with me and I get reminded of them every time I am about to go on vacation. As a momma of two boys though I put on the brave face and just ride it out, and I am so good at making believe I am just fine. The things we have to do as parents. Make believe we are okay just so that they can keep it together, and feel good. Just recently we went on a trip to Orlando, Florida and I knew it was time for me to try something so that I wouldn't have to fake it till we make it, literally. I reached out to my good friends at BOIRON USA and asked them to suggest something for me to help with my jitters, and calm my mind. They recommended SEDALIA, Temporarily relieves nervousness, hypersensitivity, irritability and fatigue due to stress; This medicine does not affect alertness* But I also needed something to help me out with nausea, so they offered me their JET LAG RELEIF packet with three different kinds of medicines to help with all things that usually come with the feeling of jet lag. And they fully delivered!!!! I felt more at peace going on vacation when having products to back me up. I knew I could count on them to make the trip a whole lot smoother for me. We flew DELTA from Laguardia to MCO. Let me just say - it was absolutely perfect. From the very beginning to the end. The entire DELTA staff was so friendly, and super helpful. As we were waiting to board a guy came to us to let us know that as a family with children we would be able to get on right away, and not have to wait to be called on to board. As we got on they noticed Caleb's mickey crown and asked if we were celebrating anything, and thats of course when we let them know we were going to Disney for little mans 5th birthday. They wished him a happy birthday and made a huge deal about it. When we were up in the sky we got to see all that DELTA has to offer for families with children on the planes. We loved that they had such a huge variety of movies, shows, and games for the kids to play with on the screens in front of their seats. Jace got to watch The Incredibles 2 movie, and Caleb watched some Ben 10! It was literally a life saver, because the shows and movies I thought I had downloaded on to our Netflix for some reason did not really download. I was also able to sit and relax and watch a movie since they were so busy doing their own thing. No headphones? No problem, because DELTA had many to give to their passengers, at no extra charge. The boys also really loved how they had the Flight Tracker where they were able to see exactly where we were, and how much longer we had. It was fun to keep track of, and see all the places that we were flying by. The flight attendants came over to us every so often to check on us, and see if we needed anything. Also just to talk to the boys, as they are both super friendly so they are always talking someones ear off, and these people loved it. We got extra snacks and all that good stuff! When there was just about 10 minutes left into our flight landing one of the flight attendants had came over with some wings pins for the boys to wear, and asked if I could give them Caleb's name for a very special birthday shout out during our landing. I thought it was very nice that they were going above and beyond for us! He had no idea that it was coming, and when we landed and he heard the flight attendant wish him a very happy birthday he was the happiest little boy on that plane. DELTA exceeded my expectations, and I truly believe that no other airline can come close to the great customer service we received with them. They made my boys happy, and as a mom who has flown many other airline companies before I believe that DELTA is by far the best FAMILY airline, and caters to children of all ages. I will make sure all of our vacations can be made easier and pleasant with DELTA. As for the homeopathic products that I used I have to say they worked, I mean really worked. I had NO jitters, NO motion sickness, and when I got off the plane for the rest of the days activities - NO jet lag what so ever. I was very happy to see that something so natural worked wonders for me. 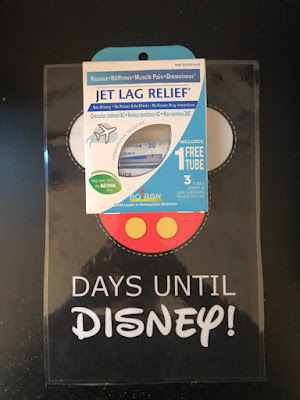 I know my body and how it normally reacts to travel, and so when I saw this big change I was very happy to know that I now can count on it each time as my travel necessities. Huge THANK YOU to BOIRON USA for making this trip smoother for me, and not only did my boys get to have a relaxing flight, but this momma did too! Flying smart means being prepared so I am happy I was able to do it with the help of BOIRON USA, and the great service of DELTA AIRLINES! Our Stay at the Hilton Buena Vista Palace in Orlando! We just came back from a unforgettable family trip to Orlando, Florida. We decided that we wanted to do something different and special to celebrate Caleb turning the big five, so we knew Orlando was the best choice to make these memories. I have so much family in Florida, that we did not necessarily had to stay at a hotel, but my boys both really love all that comes with staying at one, plus we knew we wanted to go to many of the parks in Orlando like Universal, and Magic Kingdom so we did not want to worry about traveling to them, and taking our chance on relying on family for rides all over. We wanted to stay at a great hotel which would make our trip as easy as possible. The Hilton Buena Vista Palace which is a official Walt Disney World hotel, was more than what we could ever have imagined. It really blew our minds! Let me share all the amazing reasons why you should choose them as your hotel choice for your next Orlando visit! 1. They have a Pool and Float Lagoon. Yup, a super cool lazy pool where you can grab a floaty and just relax around the pool It is heated too, so it feels amazing no matter what kind of weather you choose to go in. We were there in February when in the mornings it was still a bit breezy, but that did not stop us from fully enjoying some pool time, thankfully. Not only was that amazing but the food and drinks that you can enjoy in one of the comfy cabanas. We got to enjoy some yummy pizza for the boys, and mom and dad got to enjoy the most delicious pulled chicken nachos, plus some refreshing pina coladas from SHADES. It was everything we needed to feel like we were on vacation. 2. Complimentary transportation to all four Walt Disney World Theme Parks. Thats a huge plus if you are not planning to spend extra on a car rental. They were fast, clean, consistent, and so easy to get to! 3. Buffet Breakfast at Letterpress was a great reason to wake up early and start our day on the right track. Breakfast was ready every day at 7am and available till 11am! They had such an amazing spread that it was the hardest decision ever to choose what it will be for the day. The boys loved the donut wall, while momma really enjoyed the complimentary coffee every morning. 4. My little gamers were very happy to find out that there was a Game Room.Air hockey is life for these boys, so when we saw the table we knew we would be spending at least one day just enjoying all that the hotel had to offer, along with the game room. We spent a good couple hours just going at it, and they did not want to leave. It was quite impossible to convince them. 5. Beautiful Suite life that shows an amazing view of Disney Springs on a furnished private balcony. We loved being able to stay at one of their suites where there was so much space for us to relax and wind down after a long day out at the parks. The extra half bathroom was great too for a family of four. We were able to enjoy some down time in the living room area watching DVD rentals, while eating snacks, and then once we would decide to end the night we got to lay on their huge and fluffy queen size beds. It was comfortable, stylish, and spacious. 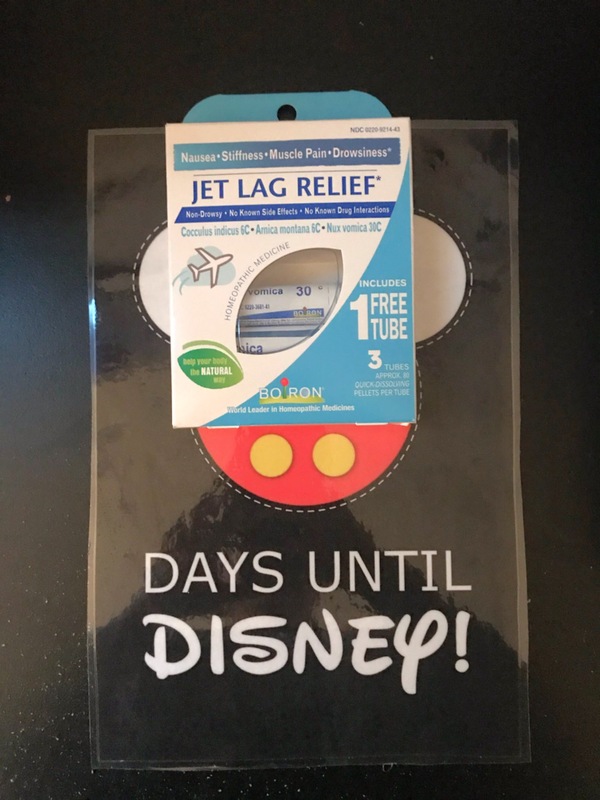 Everything you need while on vacation! Thank you Hilton Buena Vista Palace for having us. This trip would have not been as amazing as it was without you guys! We loved staying here, and plan on returning again soon! I highly suggest all my friends and family to stay here during their Orlando trip.